Gunmen in the far north-east of Kenya have kidnapped two Cuban doctors and killed an armed policeman travelling with them. They are believed to have been taken to neighbouring Somalia, reports say. 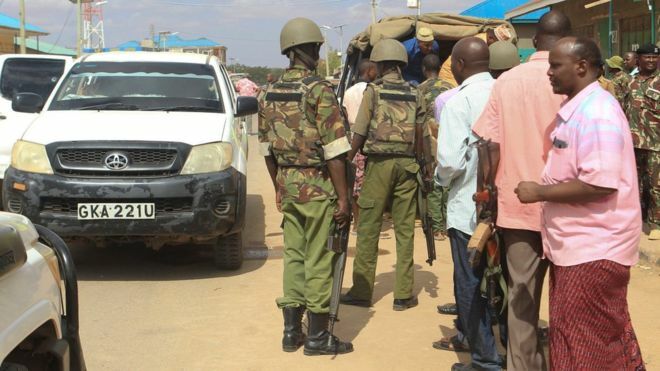 The police suspect the attackers were members of the Somalia-based Islamist militant group al-Shabab, a security source told the AFP news agency. Last year, more than 100 Cuban medical specialists were brought to Kenya to improve the health service. “All security agencies have been mobilised to pursue the criminals and rescue the victims,” police said in a statement. The attack happened in Mandera town, on the border with Somalia, at about 09:00 local time (06:00 GMT) as the doctors were being taken to work. One of the two police officers who were escorting the medics was shot and killed, while the other managed to escape. Mandera, and the area around the town, has seen several al-Shabab attacks and kidnappings in recent years. In January, the militant group said it was behind the attack on the DusitD2 hotel and office complex in the capital, Nairobi, in which 21 people died. Al-Shabab is battling the UN-backed government in Somalia, while Kenyan troops are part of an African Union force that is supporting the government in Mogadishu.